Crash Course: Wind turbine bird, bat deaths to be monitored? LANSING, MI – Michigan wind power operators may soon be able to get a state permit to collect and count the number of birds and bats that are injured and killed by turbines each year, but they will not be required to do so, according to state wildlife officials. The decision to make the permits available to business entities that request them is scheduled for discussion today at the Natural Resources Commission meeting in Saginaw. A final decision is expected at the commission’s April meeting. Wildlife “salvage” permits, as they are known, have been available only to scientific and educational organizations until now. Mason said the agency wants to offer them with hopes of getting better information about wildlife mortality, but adds that data may, or may not, be available to the DNR. If turbines are located on private lands, companies can refuse to give it to the state. That would not be the case for turbines built on state lands, were they to be approved, Mason said. Companies would be required to share that data. “Michigan is different from other states that have a well-defined program, places like Pennsylvania, or Ohio which is in progress and several others,” Mason said. “There is no regulatory program in Michigan now and we are not in a position to develop one. “There is no wildlife screening criteria for siting wind turbines. The US Fish and Wildlife Service have voluntary criteria, but they are not mandatory. Michigan wind turbines generate approximately 1300 megawatts annually today and more units are coming online, according to Burr Fisher, a fish and wildlife biologist with the US Fish and Wildlife Service East Lansing field office. Fisher is in charge of federal activities involving wind power projects. There is one operational wind farm with 14 turbines on the Garden Peninsula in the Upper Peninsula and five or six “working farms” in the thumb region of Michigan with 30 to 40 turbines per farm, according to Fisher. 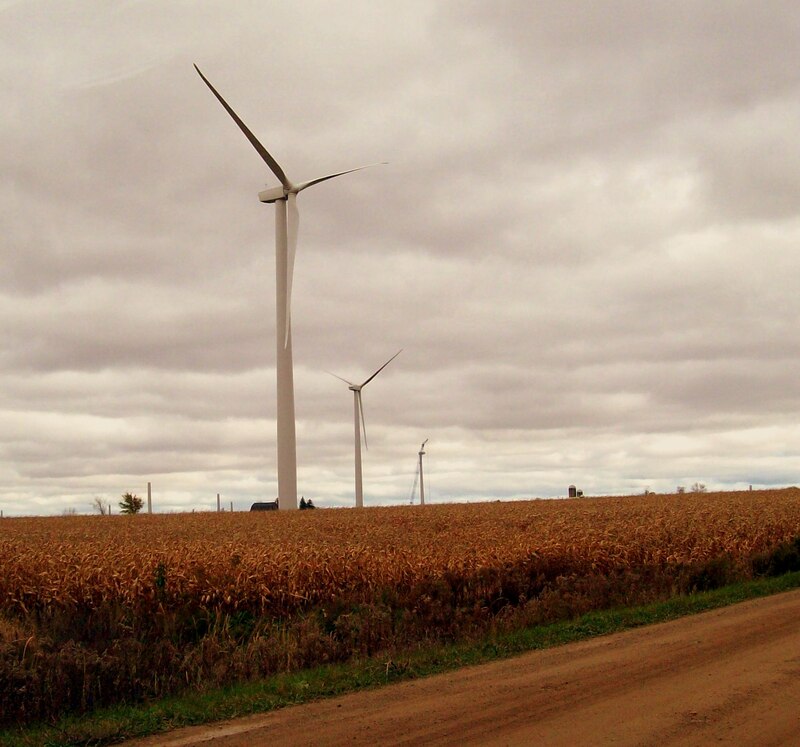 The tri-county area of Wexford, Osceola and Missaukee counties has another “45 to 50 turbines.” There are also small installations at Mackinac City and Traverse City. Wind turbines kill six to 10 birds a year per megawatt on average; that’s 130,000 birds in Michigan and “nothing to sneeze at,” Fisher said referring to a wildlife mortality measure found in wind industry reports. The Garden Peninsula installation has been tough on tree bats and birds like warblers that migrate at night. “It whacks more bats than birds,” Fisher said. “The tree bats are migratory and head south. They don’t hibernate. For some odd reason they are attracted to the turbines. It’s killing maybe 25 bats monthly and maybe 12 birds. “We were worried about the Garden Peninsula. It’s a funnel for migratory birds, bats too. We told Heritage (Heritage Sustainable Energy LLC) that the Garden Peninsula wasn’t a good site, but they forged ahead and we can’t stop it. “We’ve just advised them of their liabilities, which include potential violations of the Migratory Bird Treaty Act, Endangered Species Act and Bald Eagle Act. Fisher said Heritage project has applied for and received a federal wildlife salvage permit. “They are doing it for the PR,” Fisher said. “They thought it would appease us to have post-construction monitoring. Wind turbines, he added, do not kill as many birds as communication towers or even feral cats. This entry was posted in Uncategorized and tagged Bats, Birds, DNR, Environment, Michigan Department of Natural Resources, Nature, Salvage Permits, Sustainable Energy, US Fish and Wildlife Service, Wildlife, wind energy, Wind Turbine. Bookmark the permalink.